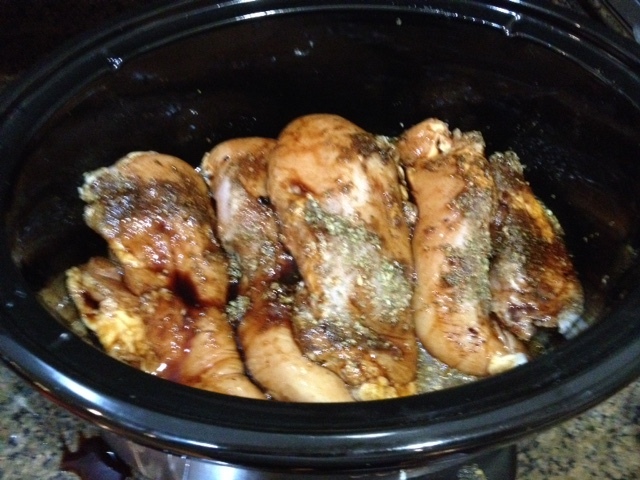 I recently reblogged a recipe I saw on another site, NYC Fit Food Fashion, called clean eating crock pot chicken. I decided to try making it myself, without the salt called for in the original recipe and using a very low-sodium chicken stock. 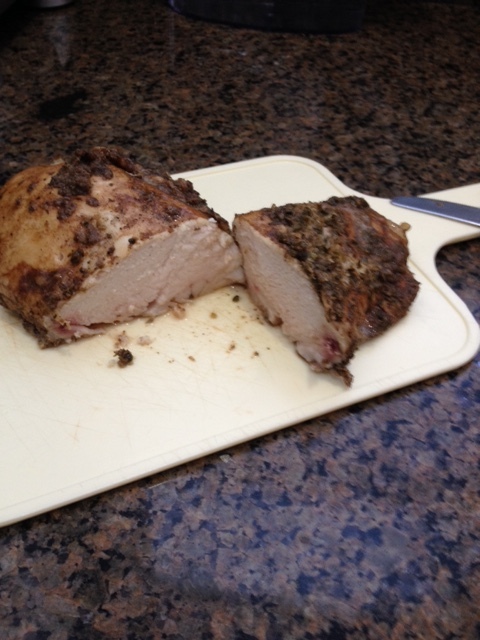 The result was a wonderfully tasty dish and the most moist white meat chicken I think I’ve ever made at home. For someone who hates dry chicken, this dish is a God-send. I had about three pounds of chicken breast rather than the one pound in the original recipe, so I tripled most of the ingredients except for the garlic. I thought 12 cloves of garlic might be a bit extreme even for a garlic lover like me. 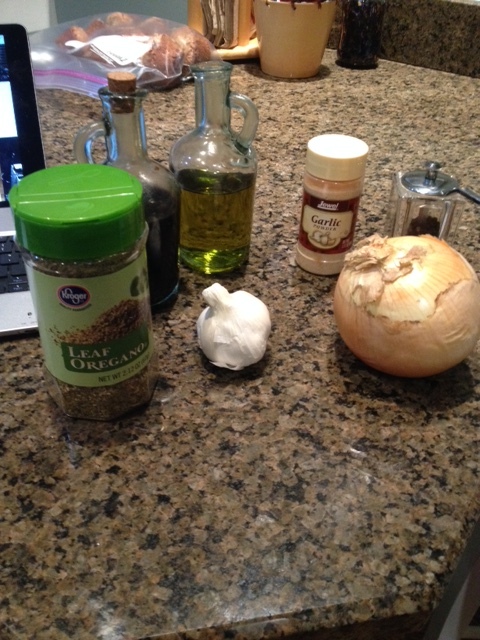 Ingredients you’ll need for this chicken recipe. The chicken stock I used had only 70 mgs of sodium per cup, so using a cup and a half, triple the recipe for my triple chicken, meant adding only 105 mgs of sodium for the entire three pounds of chicken. The balsamic vinegar flavor was my favorite in this dish. This is a great party meal you can serve guests who will be hard pressed to miss the salt not in it. And making it in a crock pot means minimal fuss and muss. The most moist chicken breast I’ve cooked. My thanks to blogger Joanne for this recipe.